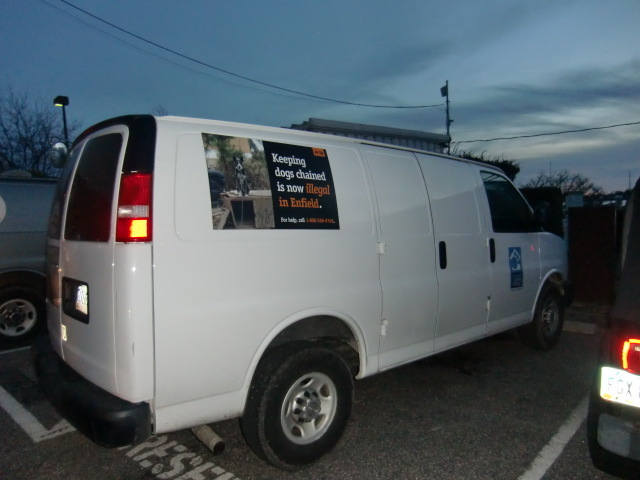 On October 18, 2014, two representatives of People for the Ethical Treatment of Animals (PETA) pulled into a trailer park in Parksley, Virginia in the signature white van of the Community Animal Project (CAP). 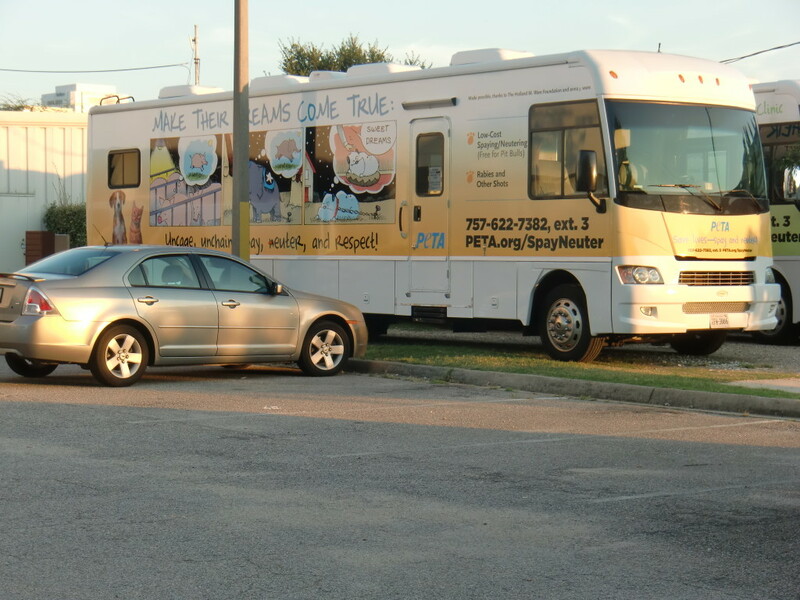 PETA bills CAP as a program that offers assistance to the animals of needy families in Norfolk, where PETA is located, and surrounding communities, like Parksley. Parksley is an out of the way rural town of less than 1,000 people. The destination of the CAP van was a trailer park located there, made up largely of poor, Spanish speaking immigrants. The park is described by a local resident as “difficult to find unless you know where you are going.” The PETA employees knew where they were going because they had allegedly been there before. Over several weeks, PETA had been visiting the trailer park and befriending the residents. They got to know who lived where and who had dogs. They sat with the families on their porches, talking to them, offering biscuits to the dogs, promoting vaccinations, sterilization, and other PETA services. 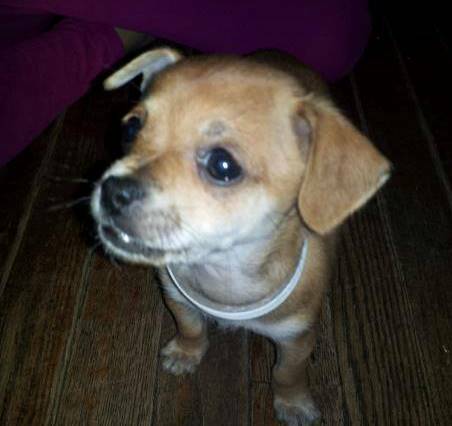 One of the families they spent time with had a three year old Chihuahua named Maya, a happy, healthy, and beloved dog. And on October 18, that is one of the houses PETA set out to visit. This time, however, they were not there to talk to the family or any of the other residents or to offer any kind of assistance. The PETA employees backed their van up to the porch and threw biscuits to Maya, who was sitting on her porch, trying to coax her off the property whom PETA could impound as a “stray” at-large. In Virginia, PETA is licensed as an “animal shelter.” But Maya refused to stay off the property and after grabbing the biscuit, ran back to the safety of her porch. The PETA representative went onto the property and took Maya. Moreover, Virginia law requires dogs to be held for five days before they can be killed by “shelters.” It also requires private shelters like PETA to notify the municipal animal control shelter of any “stray” dogs they take in. PETA would do neither. Within hours, Maya was dead. PETA had killed her with a lethal dose of poison. When the family returned and found Maya missing, they searched around the neighborhood before checking the video on a surveillance camera mounted on their porch. According to a local news report, “[the family’s] lot is neat, with mulched flower beds, a trampoline and a jungle gym. The security camera was mounted in the hopes of keeping what little the family has.” It was on the video that they saw the PETA van and recognized the woman who had come to their house on prior occasions to talk to them about Maya. They called PETA and asked for Maya’s return. According to a family spokesperson, PETA claimed it did not have the dog and that no dogs were picked up from the trailer park. When PETA was told that its representatives had been filmed taking the dog, they hung up. Shortly afterward, a PETA attorney called and informed the family that Maya was dead. She was not the only one. Edward Armstrong, a spokesman for Maya’s family says, “They were waiting until they [the residents] weren’t home. One of [the] neighbors actually saw them taking another resident’s pet. They waited until that resident left… They had actually learned everyone’s schedule. They pulled in, they take the guy’s dog, a next door neighbor saw the whole thing.” Due to the questionable immigration status of the residents, however, they are afraid to come forward. Had a surveillance video not been available, the killing of Maya would have remained unknown, as were the fates of other animals who also went missing that same day, but which a subsequent investigation into the killing of Maya by the Virginia Department of Agriculture (VDACS) uncovered were also taken from that trailer park that same day and likewise killed. 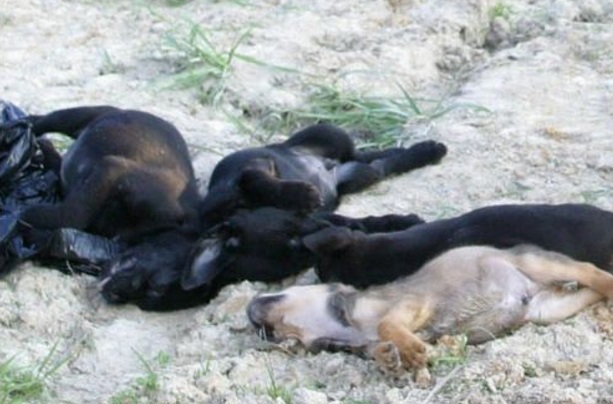 Among the dead were two four month old kittens, a six month old puppy, a one-year-old lab-mix, and another Chihuahua. Gary Agar, the Commonwealth’s Attorney, declined to prosecute. They were PETA, after all, and why would PETA employees steal and kill animals? A curious conclusion to be sure, given that all the evidence—including video tape of the taking and PETA’s admission that they did in fact kill the dog—demonstrates that PETA did precisely those things. Moreover, had he done his research, Agar would have discovered that Maya’s killing is not the first time PETA has taken animals from the public under questionable or false pretenses and put those animals to death. Rescuers, private individuals, shelters, and veterinarians have, over the years, stated that they turned over animals to PETA after PETA promised to find them homes only to learn that PETA killed the animals, in some cases within minutes of taking them. In a 2007 North Carolina criminal trial against two different PETA employees, jurors heard similar testimony. That case would prove even more sordid than Maya’s. In May 2005, Ahoskie, North Carolina police were dispatched to a Piggly Wiggly Supermarket after officials there noticed a strong odor coming from the supermarket dumpster and, upon investigation, discovered the body of an animal in a trash bag. 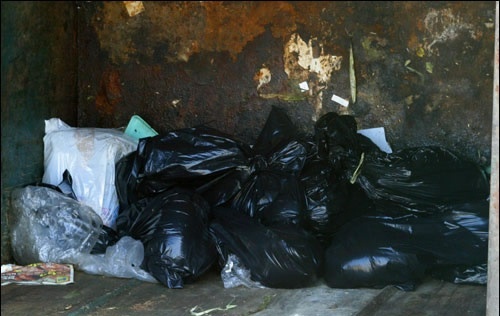 As police rummaged through the dumpster, they found the bodies of 21 dead dogs in garbage bags. Two weeks later, 17 dogs and three cats were discovered in the same dumpster. After a surveillance operation, detectives witnessed two PETA employees in a white van—similar to the one used to take Maya—dumping 16 more bodies into the dumpster. The employees were arrested. 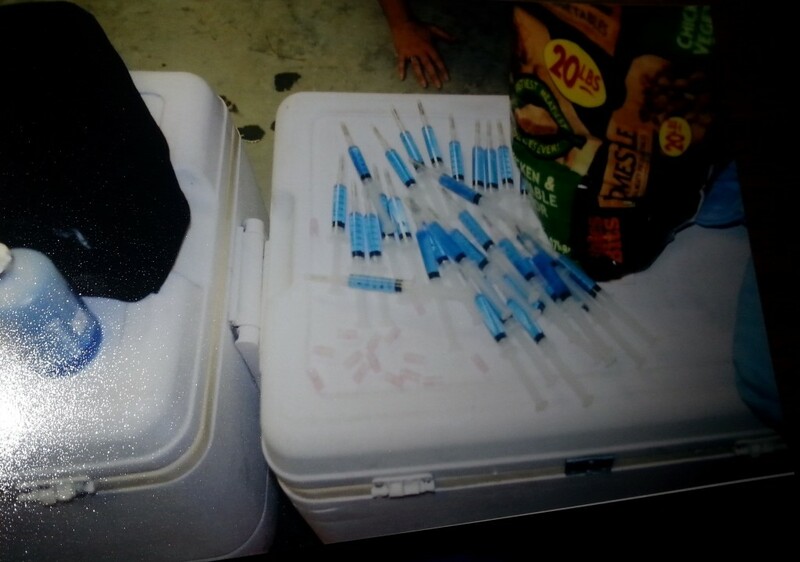 Inside the van were boxes of trash bags, PETA manuals, and a tackle box containing syringes, needles and bottles of a liquid substance, later determined to be the drug used to kill animals. They also discovered the bodies of eight more dogs and 12 cats, including a mother cat and her two kittens picked up just minutes earlier from a local veterinarian after PETA promised his office they would have no trouble finding them a home. At trial, the PETA staff who killed the animals admitted to doing so and further admitted that the animals were healthy, calling them “adorable” and “perfect.” But the fact that they were healthy did not spare any of the animals the needle—nor did the fact that they promised the people they received the animals from that they would find them homes. They were doing the job PETA paid them to do; and that job was to acquire and kill animals. For over four months, PETA remained silent as to why they took and killed Maya, refusing to answer any questions from reporters and others. Then, in late February, as the Governor of Virginia was weighing whether to sign a bill that Virginia legislators overwhelmingly approved—a bill that came to be called the “Anti-PETA bill” and was designed to strip PETA of its ability to take in and kill animals—PETA broke its silence. PETA claimed Maya was killed by “mistake,” and defying credulity, they explained that the same PETA representative who had earlier sat on the porch with Maya’s family talking to them about Maya’s care and was filmed taking Maya from that same porch, mistook her for a different dog. The “apology” was not only another devastating admission of guilt, but further evidence that killing healthy animals was business as usual for PETA representatives, so commonplace that the only excuse PETA could offer for her death was that in taking her life, a PETA employee had mistaken her for another perfectly healthy animal they had decided to kill. Was it likewise a “mistake” that five other animals—two kittens, a puppy, a one year old lab-mix, and another Chihuahua—ended up dead from the same location and on the same day, too? 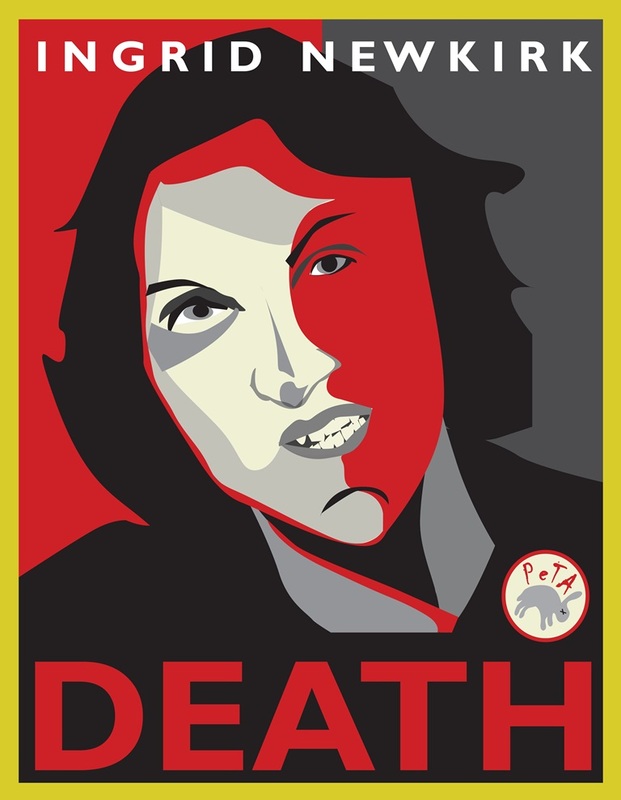 In the end, though PETA claimed to be “devastated” by Maya’s death, the claim was contradicted by the facts, and, given its timing, motivated not by honesty, transparency or genuine contrition, but political necessity as VDACS had opened an investigation into Maya’s killing and the state of Virginia sat poised to pass an animal protection law aimed at protecting animals from PETA. The number of animals killed by PETA is frightening. According to statistics reported to VDACS by PETA itself, PETA took in 1,605 cats in 2014 and killed 1,536 (a kill rate of 96%). They transferred another 43 to kill shelters. If those animals were also killed or displaced others who were, that would put the cat kill rate as high as 98%. They found homes for only 16, an adoption rate of 1%. During that same time frame, they took in 1,021 dogs of which they killed 788 (a kill rate of 77%). Another 210 were transferred to kill shelters. Like the cats, if they were killed or displaced others who were killed, the dog death rate would also be as high as 98%. Only 23 were adopted. Since 1998, PETA has killed over 30,000 animals, including healthy puppies and kittens, many of them immediately after taking custody of them and without ever trying to find them homes. By contrast, the Lynchburg Humane Society, also in Virginia, took in about the same number of animals as PETA but saved 94% and without PETA’s millions in revenue. Seagoville Animal Services in Texas took in about one-third of the numbers (roughly 700 animals) but only 1/20th of 1% of the amount of money that PETA did. Yet it managed to save 100% of the cats and 99% of the dogs on a paltry $29,700 budget. In fact, hundreds of cities and towns across America are saving over 90% of the animals and doing so on the tiniest fraction of PETA’s wealth. Compare PETA’s killing to shelters across the country and the conclusion appears inescapable: PETA, the organization that sells itself as being the standard bearer for our treatment of animals as a society, is little more than a slaughterhouse. But that hasn’t stopped them from taking in an astonishing amount of money from an unsuspecting public. 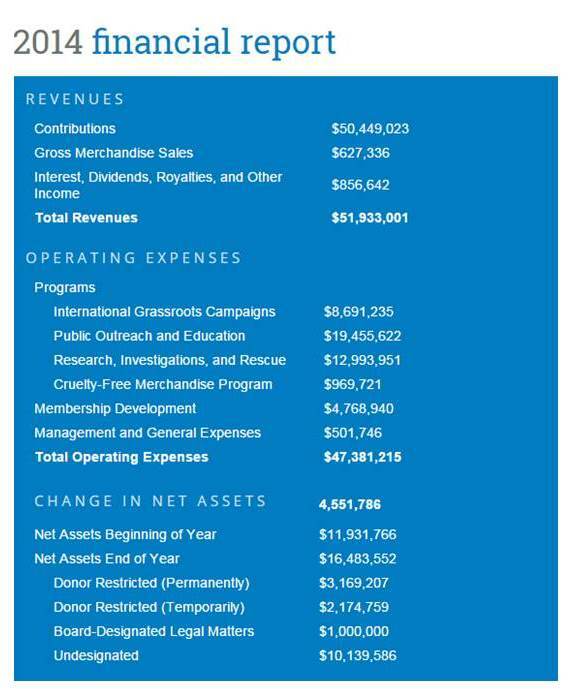 In 2014, PETA raised $51,933,001: $50,449,023 in contributions, $627,336 in merchandise sales, and $856,642 in interest and dividends. They finished the year with over 4.5 million dollars—$4,551,786 to be exact—more in the bank than when the year started, after expenses. Yet they did not see fit to use some of that to promote the adoption of the 1,324 animals they killed or to provide veterinary care for the animals who may have needed it. Nor is killing the only way that PETA betrays their publicly claimed mission of animal protection. In Houston, Texas, when scandals at the local pound revealed widespread abuse, the hiring of individuals with criminal records, and even live puppies being flushed down open trench drains—puppies who drowned and whose little bodies were never seen again—PETA came to the defense of the shelter, urging city officials not to listen to animal lovers clamoring for reform. In King County, WA, despite animals suffering from untreated medical conditions, animals dying in their cages, and animals going days without food and water, PETA called reformers “radicals,” urged legislators to ignore them, and defended the shelter’s policies. Similarly, in Montgomery County, Tennessee, after a local shelter killed a pregnant dog by attempting a dangerous, late term abortion of her puppies despite offers by rescue groups to take her and wean the puppies before finding all of them homes, PETA wrote the city council praising the shelter’s decision not to send her into foster care. In fact, they went further: telling the shelter not to work with rescuers, not to foster animals, and not to adopt out some healthy animals. Over the years, PETA has also fought legislation that would save animals, including bills to increase holding periods for shelter animals, to require shelters to work with rescuers, to prevent shelters from killing if there are empty cages and kennels, to neuter, rather than kill, community cats, and to require shelters to try to find homes, rather than just taking in and killing animals. The recent fight over Virginia’s SB 1381 is illustrative. The bill was meant to clarify existing law and close a loophole that allowed private shelters in Virginia to simply take in and kill animals, without even trying to find them homes. The legislation sought to change the definition of a private shelter to one that is “operated for the purpose of finding permanent adoptive homes and facilitating other lifesaving outcomes for animals.” In other words, SB 1381 does what the public already thinks shelters do, what the dictionary says they do, and what every shelter in Virginia does with the exception of PETA. It is legislation that most people would think PETA would support. But they didn’t. Instead, they fought the bill, using donor funds to hire a professional lobbyist to kill the bill so they can continue killing the animals without making them available for adoption. It is a pattern repeated again and again by PETA throughout the country. When animal lovers wage campaigns to reform abusive practices at their local shelter or seek legislation to protect animals in shelters, fighting for improvement often means battling the organization most would predict to be their fiercest ally: PETA. The question, of course, is why? Why would PETA kill animals? Why would they fight against efforts to reform neglectful and abusive shelters? And why call for more killing in shelters instead of less? “Godwin’s law” is an online adage that states, “As an online discussion grows longer, the probability of a comparison involving Nazis or Hitler approaches 1.” As Wikipedia describes it, Godwin’s law postulates that, “if an online discussion (regardless of topic or scope) goes on long enough, sooner or later someone will compare someone or something to Hitler or Nazism.” A corollary of that principle can probably be that someone will condemn a group whose behavior they do not like as being “a cult.” Like Godwin’s law, such an argument is usually hyperbolic, nothing more than an ad hominem attack. But what if the comparison to a cult is apt? More specifically, what if the group really is a cult? Once again, Godwin’s Law is instructive: “The law and its corollaries would not apply to discussions covering known mainstays of Nazi Germany such as genocide, eugenics, or racial superiority, nor, more debatably, to a discussion of other totalitarian regimes or ideologies, if that was the explicit topic of conversation, because a Nazi comparison in those circumstances may be appropriate.” In other words, the use of such comparisons, under some circumstances, is applicable. Cults come in many varieties. There are religious cults like the Branch Davidians and Heaven’s Gate. There are commercial cults that recruit members to sell their products, thereby enriching their leaders. There are self-help cults which manipulate the emotionally vulnerable. And then there are political cults which, according to one organization which tracks cults, don’t appear to be cults at all; having, as their outer façade, “a slick well-rehearsed Public Relations front which hides what the group is really like. You will hear how they help the poor, or support research, or peace, or the environment.” What makes some cults particularly terrifying is that they also promote philosophies that endorse campaigns of extermination. Jim Jones’ “The People’s Temple” which ended in the tragic mass suicides and murders in Jonestown, Guyana in 1978 was just such a cult. Tragically, problems with the Jones cult—headquartered in the San Francisco Bay Area—were ignored and buried by the San Francisco political and media establishment who either turned a blind eye out of self-interest or because they were misled by the church’s public outreach efforts such as providing groceries and medical care for the poor and after school programs for at risk youth. Paradoxically, death cults such as these thrive by hiding in plain sight, even in high profile. They do so by using their “good works” to garner support, recruit members, defray scrutiny and ensure political cover by making people reluctant to challenge the cult, even though behind closed doors they engage in activities that are the opposite of their stated goals and public image. “Cult” is a very loaded word and one that immediately places a tremendous burden of proof upon such a claim, as it should. But because self-preservation and therefore necessity demand that cults masquerade their true purpose and their deeply dystopian agendas behind a false façade, the label is rarely applied until it is too late, until grisly outcomes allow for no other logical explanation, especially where political death cults are concerned: the Jonestown massacre, the Heaven’s Gate mass suicide, the self-immolation at the Branch Davidian compound. Before such spectacular outcomes demand equally spectacular vocabulary, safer and less hyperbolic-sounding explanations are preferred and motivations to explain problems and reported contradictions within an organization are chalked up to pedestrian flaws of human nature, such as corruption, greed, and ego. But while corruption, greed, and ego are hallmarks of a cult, these words fail to convey that when working within a cult, they are not manifestations of typical human weaknesses that dilute and degrade sincerity, but operate at the core of why the cult exists in the first place. They are, in fact, integral to its strength and central to both its founding and its perpetuation. In a cult, corruption of stated purpose is not the result of an eventual straying from a once noble mission; it is the mission. Greed is not an outcome of avarice resulting from success; rather, the amassing of wealth is essential to ensuring the perpetuation and expansion of the cult. Likewise, leaders of cults don’t fall prey to hubris born of a taste of power. They start a cult because they are already prone to such conceit; the cult simply gives them a voice. Leaders of cults don’t simply have large, jealous egos; they are highly charismatic megalomaniacs and narcissists. That is why while news of PETA’s activities so often results in people asking, “What happened to PETA?” and “When did it become so corrupt?” these questions, in light of PETA’s history, are misguided and misinformed. Nothing has happened to PETA. PETA has been killing for many years. What is occurring at PETA today differs in no way from what has been happening at PETA since its inception, except perhaps in scope as PETA’s expanding wealth has allowed for more staff and resources and therefore, more killing. 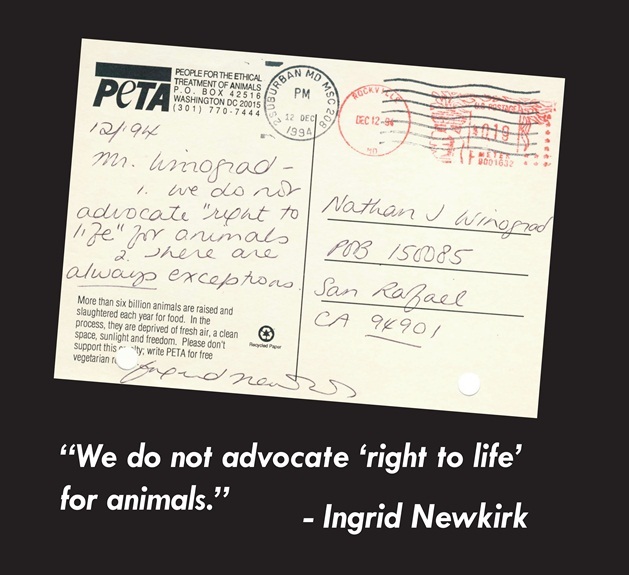 While it is only recently that their illicit, anti-animal activities have been brought to greater public awareness, PETA’s leader and founder, Ingrid Newkirk, has never strayed from her stated belief that while animal suffering is bad, killing animals (to spare them any chance of ever experiencing such suffering) is good. And for her, causing death is not the same as causing suffering. In fact, killing animals is how she became involved with animals in the first place, why she founded PETA, and the core of her perverse brand of activism. It is an understatement to say that killing animals should be regarded as a deeply disturbing experience. Not only is the person doing the killing cruelly robbing an animal of his or her life, but it is not uncommon for an animal who is being killed to experience fear, disorientation, nausea, and, at times, even struggle against it. A dog who is skittish, for example, is made even more fearful by the smells and surroundings of an unfamiliar surrounding such as an animal shelter. He doesn’t understand why he is there and perhaps away from the only family he has ever loved. For this dog to be killed, animal shelters may use a catch pole, a long handled, hard-wire noose that wraps around a dog’s neck and torso. These dogs often struggle to free themselves from the grip, which results in more fear and pain when they realize they cannot escape. They sometimes urinate and defecate on themselves, unsure of what is occurring. Often the head is held hard to the ground or against the wall so that the staff member can inject him with a sedative. While the catch pole is left tied around the neck, the dog struggles to maintain his balance, dragging the pole, until he slumps to the ground. Slowly—fearful, often soiled in his own waste, confused—he tries to stand, but his legs give way. He goes limp and then unconscious. That is when the fatal dose is administered. And yet in spite of this, Newkirk admitted to not only killing sometimes dozens of animals a day, but actually going into work early in order to do so. What are we to conclude about a person who opts to go into work early to do their job when that job is killing animals? Case history reveals that nurses who kill their patients often show no remorse for their killing, arguing that their actions were motivated by mercy and compassion and that their patients, desperate to be relieved of their suffering, wanted to die. The language used by Newkirk on numerous occasions about giving animals what she calls “the gift of euthanasia” is eerily similar. In her case, she also believes she is the hero and those who try to stop her are betraying the animals. She once blasted a shelter reformer by stating: “How dare you pretend to help animals and turn your back on those who want an exit from an uncaring world!” Indeed, Newkirk-through-PETA has stated that blaming shelters for killing animals is like blaming hospitals for killing patients. Is Newkirk trying to tell us something? Predictably, PETA dismisses Harper-Troje as a disgruntled employee, but there are several reasons to discount such a view. First, she has nothing to gain. Her employment ended over a decade ago and she has remained silent for all those years. A disgruntled employee doesn’t wait better than a decade to come forward. Second, disgruntled employees paint themselves as wounded innocents, as whistleblowers trying to do what is right. Harper-Troje admits she killed animals, admits she lied to people in order to get their animals, admits she promised that she would find them homes only to put the animals to death with no attempt at doing so. Some PETA supporters dismiss this first-hand account as ancient history, and yet her descriptions confirm both what more recent employees report and what the current facts we know of how PETA operates. Case in point: the theft and killing of Maya; PETA’s call to kill every pit bull in every shelter in America; their belief that outdoors cats should be rounded up and killed; their defense of poorly performing and even abusive shelters; their opposition to shelter reform legislation; and, of course, their continued killing of over 90% of all the animals they take in. This, of course, begs the question: how can people want animals if PETA does not advertise them, fails to make them available for adoption, and kills them right away? Moreover, Maya already had a home. In light of this evidence, PETA attorney Jeff Kerr hedged during a recent forum at the University of Virginia Law School. He stated that “most” of the animals PETA kills are suffering. But even this isn’t true. While PETA leadership claims PETA’s “shelter” provides little more than end of life low-cost “euthanasia” services, staff have refuted this claim. Speaking confidentially for fear of retribution, one of them confided that while they “have seen people bring in their very sick or very old animals to be euthanized because they can’t afford to go to a vet hospital… a majority of the ones that I saw were healthy animals.” In fact, she described that the end of life killing of very sick animals was “rare” in contrast to PETA’s claim that it is the only—or depending on who at PETA is being asked, the majority of —the killing that they do. Weary of the killing of young, healthy animals, the vet techs offered to take the kittens and puppies and find them homes themselves. The answer from PETA leadership, which had the ultimate authority over the animals, was “always no.” The vet techs offered to adopt the animals themselves. Once again, the answer was “no.” At that point, the staff said they would no longer take the animals off the van and into the killing room. When PETA had members of CAP come onto the van to get them and take them to the room themselves, the vet techs began refusing to pick up or take any animals to PETA because they knew they were all being killed. At that point, PETA began dispatching CAP staff to pick up and kill the animals in the white vans, the kind used to kill animals in North Carolina, to take and kill Maya last October, and the kind which is used to trap and kill neighborhood cats in the communities surrounding PETA headquarters. In other cases, staff who did not want animals killed tried to discourage people from surrendering animals. 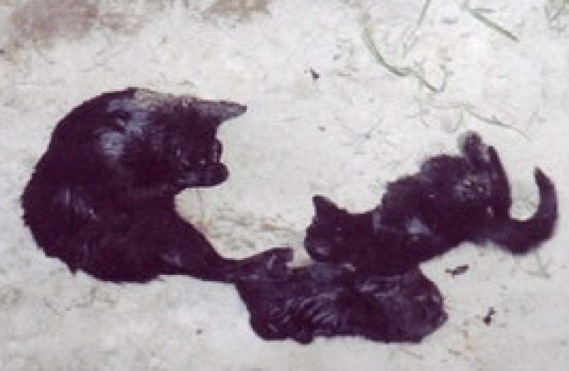 One described witnessing “pets being surrendered with the owners under the impression that these pets were going to PETA’s shelter for adoption (which does not exist).” She described a litter of kittens, cats, and a dog being killed after being surrendered by people under the mistaken belief that they would be adopted out. Before the North Carolina arrests, before the recent exposes, PETA actively encouraged this belief: they were instructed to lie to people about what would happen if they surrendered animals to PETA. “It was nothing to say to people… look at these awesome kittens, they are going to find the best homes,” said one former employee. In fact, one PETA staff member described a kitten who was adopted by one of the field workers to another PETA staff member without permission from higher ups. That employee was ordered to return the kitten, already in her home, so that the kitten could be killed. Tragically, she did. Another PETA staff member offered to help find a home for a small, young, friendly, highly adoptable dog she called “cute as a button” who was surrendered by his family. “He’s so adoptable; I bet we can find him a home in no time,” she told the head of the CAP program. She “hit the roof,” the staff member reported. “She was so upset, her face was red.” Why? Because the family had signed the surrender form giving PETA ownership of the dog and therefore the legal ability to immediately put the dog to death. Approaching Ingrid Newkirk herself about another dog scheduled to be killed, she told her, “This dog is beautiful, he’s awesome, he’s friendly” in a bid to save him. Newkirk’s response: “They’re all wonderful, aren’t they?” That dog, too, was killed. The math bears this out. Some of the staff did adopt animals from PETA, the part of the 1% who actually find homes. These staff members admitted picking three random animals in the holding room over several years and adopting them on impulse because they saw them there and did not want them to die. All three of the animals chosen were healthy and friendly. If the PETA staff members did not adopt them, they would have been killed. What are the chances that three healthy and friendly animals would be randomly picked out of three attempts if all the animals PETA takes in and kills are irremediably suffering? Of course that answer would be 0%, a mathematical impossibility. But even if 10% of animals PETA killed are healthy and the rest hopelessly ill, the chances of picking three healthy ones randomly out of three attempts during this period would still only be 1/10th of 1%. If 20% of animals PETA kills are healthy, there would still only be 4/5th of 1% chance, extremely unlikely. Finally, even if 30% of animals PETA kills are healthy, there would be less than a 3% chance. The conclusion appears inescapable here, too: PETA is lying when it says it only kills (or mostly kills) hopelessly ill or injured animals. The mass killing is, of course, paid for by PETA’s unsuspecting donors. And the more they donate, the harder PETA works to keep them in the dark. Individual donors who give at least $500 per year, for example, are made members of what PETA calls the Vanguard Society. Many give more. Bill Maher, Bob Barker, and Simpson’s co-creator Sam Simon, gave over $100,000 each in 2014 (Simon, who just died, is reputed to have left PETA a significant portion of his $100 million estate). Vanguard Society members are invited to spend a weekend being schmoozed by PETA every year, where staff members are assigned to them to run “intel.” One staff member reported that prior to the weekend, key staff are briefed by PETA leadership: “There was a presentation all about the donors who would be attending, personal info, and anything about PETA they disliked.” The purpose was to neutralize the possibility they would stop donating by assigning people to counter any concerns. The high donor weekend includes a tour of the PETA grounds, all except for the “exam room.” That is strictly off limits. As they walk past the shed, they are all blissfully unaware that the freezer within it is filled with the bodies of dead animals they helped pay to kill: puppies, kittens, hamsters, bunnies, gerbils, and others, at one point, even Maya. Still, as the scandals at PETA mount and as the truth slowly comes out, PETA has begun using some of their money not to save animals, but to make cosmetic changes to reform its image. Aside from changing its rationale for killing animals from open defiance—“We are not in the home finding business”—to claiming that they are all suffering, the exam room was made to look nicer in case reporters came knocking, as they have. Instead of just a table to kill the animals and a freezer to store the bodies (installed at a cost of nearly $10,000), there is now a couch, cabinets, softer lighting, color on the wall—window dressing intended to masquerade the grisly reality of what goes on in that room when reporters aren’t there. The freezer with the dead bodies is hidden behind a curtain where it can’t be seen anymore. But despite the makeover, it still serves the same insidious purpose. Unfortunately, not only does PETA’s registration with the Commonwealth of Virginia as a shelter give PETA the ability to acquire the controlled substance sodium-pentobarbital which they use to poison animals, but being registered as a shelter allows them to mislead people into believing that the killing that they do is consistent with that being done by shelters, a form of killing which, tragically, has long been tolerated by the public. Were Ingrid Newkirk to independently—without a staff and organization to back her—seek out thousands of animals a year after saying she will try to find them homes, by taking them from rescue groups and shelters, gathering animals through trapping, acquiring those displaced by natural disasters, and taking them from their homes, only to inject them with poison and kill them, most people would opine that she was a deeply disturbed person acting in obedience to dark and dangerous impulses. Unfortunately, her association with PETA obscures the issue for many people. 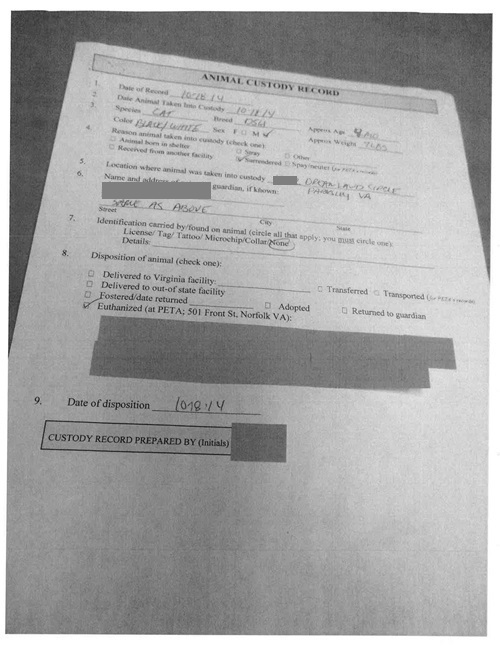 Nonetheless, with the stamp of legitimacy her association with PETA affords her, Newkirk has not only been granted the unrestricted ability to kill without the scrutiny or condemnation of many so-called “animal rights” activists who grant her absolution, but it has given her access to naïve and easily manipulated young people who arrive on PETA’s doorstep starry-eyed, some of whom she manages to transform into people who not only defend the right to kill animals with the same, deadly language that she does, but who also seek out, then kill animals themselves, such as Harper-Troje, the PETA staff who stole and killed Maya, the staff who were caught tossing garbage bags filled with dead animals into the supermarket dumpster, and the three PETA employees who attended a shelter reform lecture I gave at UCLA Law School in March 2012. The views these young people expressed revealed that PETA followers are not just parroting Ingrid Newkirk for a paycheck; they are, in fact, fully indoctrinated true believers—immune to logic and reason—in the belief that animals want to die and should be killed. During a discussion that spanned various topics, the conversation with these PETA employees invariably ended at the same deadly destination—with their insisting that it is okay to kill animals to spare them any future suffering and that no matter what the circumstances, killing by lethal injection is not unethical because the animals have no awareness of death, stating: “it is just like being put under anesthesia for spay/neuter, with the only difference being that the animal never wakes up.” But as I attempted to explain to the PETA employees, whether or not an individual is aware they are about to be killed isn’t the only reason it is wrong to take someone else’s life. In the horrifying 1978 thriller, Coma, for example, a doctor intentionally put patients into a coma (ultimately killing them) when they were admitted to a hospital for surgery and were under anesthesia. The victims had no concept of their own death because they simply never woke up. By PETA’s logic, this sort of killing is perfectly acceptable and yet every attempt I made to discuss the logical implications of their viewpoint—including the fact that their assertions decimated the philosophical underpinning of the entire animal rights movement and veganism (why ask people to stop eating animals as opposed to simply ensuring different methods of slaughter? )—they would have none of it, simply repeating that killing companion animals is okay because they might someday suffer and killing is okay because it’s just like going to sleep and never waking up. Indeed, PETA critics have often been baffled as to why PETA does not attempt to modulate its message in light of the growing success of the movement to end shelter killing and the ever increasing numbers of shelters and communities that have succeeded in doing so, thoroughly disproving PETA’s antiquated arguments on the “necessity” of killing animals. Instead, PETA continues to hide behind tired clichés and disproven dogmas seeking to justify the killing that many savvy animal lovers are now too informed to accept. Yet information about how cults actually work sheds some light on why that might be: In a cult, any information from outside the cult is considered evil, especially if it is opposing the cult. Cults train their members to reject any critical information given to them, and to not even entertain the thought that the information might be true. As the PETA employees after the UCLA presentation demonstrated, although they had just sat through a 2½ hour presentation debunking each of their justifications for killing, the message had fallen on deaf ears that were incapable of comprehending anything that contradicted the story line in which they’d been indoctrinated and which PETA perpetuates and continually disseminates: that animals are suffering and that the animals want to die. For every time I explained where their information or logic was incorrect or flawed—their insistence that open admission shelters had to kill, for example, by citing numerous animal control shelters nationwide that are open admission and don’t kill—the information simply did not penetrate. They simply kept repeating the same mantras over and over again: animals are suffering, killing is okay and killing is a gift. In short, they were entirely beyond the reach of reason or constructive dialogue. Another former staff member reported how he was made to watch a film condemning No Kill shelters which was purposely misleading. When he told his supervisor that he had volunteered at a No Kill shelter and it was nothing like the film reflected, he was fired. Those who leave have similar stories. One of them writing, “The words to wrap up my experience are secrecy, mistrust and paranoia,” classic statements made by survivors of other cults. Those who stay are those who do not ask questions, do not challenge the party line and mindlessly obey—sadly, a trait not uncommon among PETA’s fiercest supporters, which are buoyed every time PETA does get caught and public officials either fail to act or excuse the conduct. For Maya, PETA’s violation of law resulted in her death. For her family, it has led to immense heartbreak. Maya lived with a nine-year-old girl who, according to the family’s spokesperson, was utterly devastated by her killing. But the agencies tasked with protecting dogs like Maya and the people who love them have turned a blind eye. Although two PETA employees were arrested and charged with larceny by the Accomack County sheriff, the Commonwealth attorney refused to prosecute. Despite video evidence that they stole Maya and an admission that they killed her, the prosecutor claimed he could not prove the case beyond a reasonable doubt. Despite clear evidence that PETA has violated the law on multiple occasions, VDACS refuses to pull PETA’s “shelter” license, choosing instead to fine it a mere $500, a fraction of the $52 million it took in last year. Despite calls for investigations by state senators, county attorneys, national organizations, and the Virginia Federation of Humane Societies which says PETA is operating to “the great detriment of animals in the Commonwealth;” despite violating the law, lying to people, PETA continues operating as before, unapologetically killing thousands of defenseless animals every year. Ironically, it is the very double standard between humans and non-humans that most people erroneously believe PETA exists to overcome that has allowed PETA to get away with the harms they have inflicted with virtual impunity. And it is the perception that they exist to protect, rather than imperil, animals which causes reluctance on the part of public officials tasked with oversight. Of course, the killing of tens of thousands of companion animals and those who will be killed by PETA today, tomorrow and the day after that until they are finally made to stop is a tragedy in and of itself and motivation enough to publicly expose PETA’s killing agenda and to work to bring it to an end. But the question must be asked: where else could this ultimately lead? When you have a group of individuals who believe that killing is not only ethical, but morally obligatory, who have proven they are willing to lie, manipulate and break the law in order to do so while hiding behind a false reputation of “good works” that grants them power, wealth, and political cover to get away with it, officials in the state of Virginia continue to ignore this disturbing reality at their own peril. History shows us that there is every reason to be concerned about what PETA has already told us and demonstrated it believes in and is willing to act upon. To continue to ignore that threat and danger—to continue to allow them to operate outside the bounds of our common values and to do so with impunity—is a recipe for future regret. Should a larger tragedy ever unfold, no amount of hand wringing by Virginia officials—from the local Commonwealth Attorney to Department of Agriculture officials—that they didn’t know and couldn’t foresee it will erase the truth: that the evidence of what PETA was really doing to animals was overwhelming, and that time and again those tasked with enforcing the law and protecting the citizens of Virginia and their beloved animal companions chose not to do so. Because even if we can merely speculate about the why roughly 2,000 animals die at the hands of PETA employees each and every year, ethics compel every animal lover to see beyond the façade PETA has created to mask the ugly and sordid truth about what that organization really is. For all we do not know, this much is certain: PETA is letting loose upon the world individuals who not only maniacally believe that killing is a good thing and that the living want to die, but who are legally armed with lethal drugs which they have already proven—31,250 times in the last 12 years—that they are not adverse to using. For a note about the evidence, click here.